The inability to get oilsands crude to the right markets is costing the Canadian economy dearly, according to a new report paid for by the Saskatchewan government. "The loss to the Canadian economy will be devastating if we don't dramatically expand our pipeline capacity to multiple markets," said Canada West Foundation CEO Dylan Jones. "Abandoning this industry to oil producing countries with lower standards is not leadership." The report was commissioned by the Saskatchewan government, whose premier has been an outspoken supporter of new pipeline projects. Most recently, Brad Wall, along with 10 U.S. governors, signed a letter urging U.S. President Barack Obama to approve the Keystone XL pipeline. In recent months, oilsands crude has been trading at a painfully steep discount to both U.S. and global light crude benchmarks. It's a trend that has both eroded oilpatch profits and caused the Alberta government to warn of a $6-billion budget shortfall. At the heart of the problem is a lack of adequate pipeline capacity to get that crude to the markets that want it most. Proposals of eastbound, westbound and southbound pipelines are in varying stages of development, but environmental opposition and political wrangling makes their timelines uncertain. There are currently seven pipelines that carry Alberta crude outside of that market, the majority of which go to the U.S. Midwest. A few also go to the U.S. Rocky Mountain states. One, Kinder Morgan's Trans Mountain, goes to the B.C. Lower Mainland and U.S. Pacific Northwest, but it's full. The Canada West Foundation says the current pipeline infrastructure fails to connect crude to the right markets -- Asia, the U.S. Gulf Coast and the East Coast. A massive expansion to Trans Mountain and Enbridge's Northern Gateway proposal would enable crude to be transported to Asia via tanker, but they face stiff opposition within B.C. Refineries in eastern Canada and the U.S. Eastern Seaboard rely on pricey imported crude from overseas, which is hurting their economics. 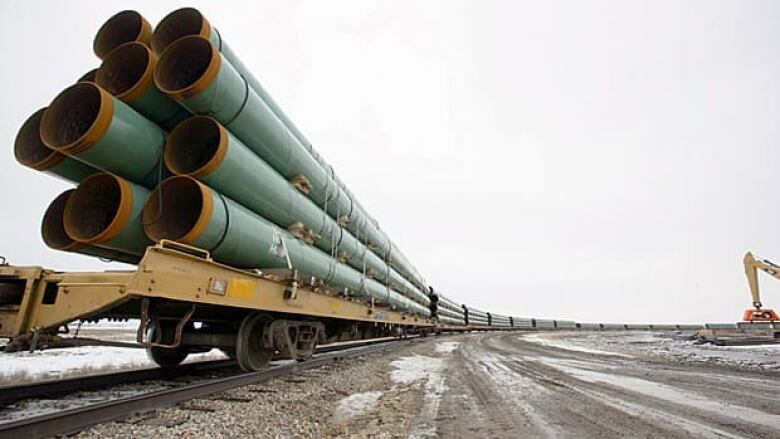 Both TransCanada and Enbridge have projects in the works to send western crude eastward through reconfigured pipes that are already in the ground. It's possible those pipes could extend all the way to New Brunswick, home to Canada's largest refinery.